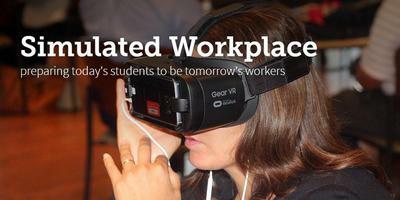 A website and Adobe Spark presentation that I created to promote Marion City Schools' Simulated Workplace initiative. A website designed to educate businesses and community members about Marion City Schools' Simulated Workplace initiative and how it benefits area employers. 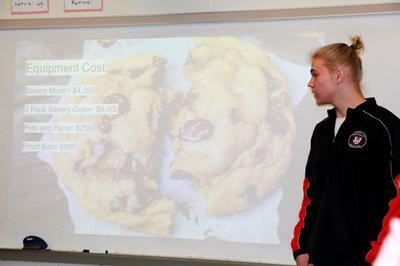 A presentation promoting our district's Simulated Workplace initiative that I created using Adobe Spark to post on our social media feeds and website. 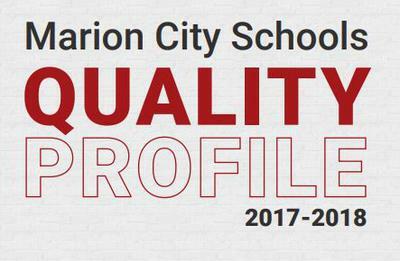 Welcome to Marion City Schools' e-newsletter. We are sending this email out to keep our local community and business leaders up to date on how we continue to strive to prepare students for success after graduation. Pamphlet designed to promote the school district and tell the story that families/residents can't see by merely seeing the state report card. I wrote most of the copy and led a team that created our district's first School Quality Profile. Led a team that designed the school district's first School Quality Profile, intended to "tell the story" beyond scores found on the state report card. Press releases written to educate public about Marion City Schools programs and events. 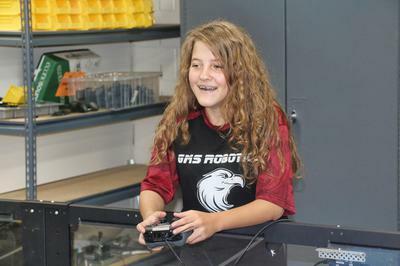 Parents and community leaders got their first look at Grant Middle School’s state-of-the-art STEM Lab during a ceremony held recently at the school. The lab, already in use by classes, focuses on science, technology, engineering and mathematics skills increasingly in demand by employers. 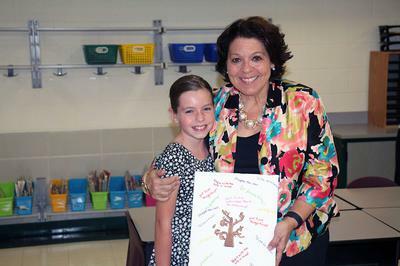 Shards of glass and patient – though at times bloodied - hands came together to create a Benjamin Harrison Elementary art project focused around the school’s The Leader in Me success. 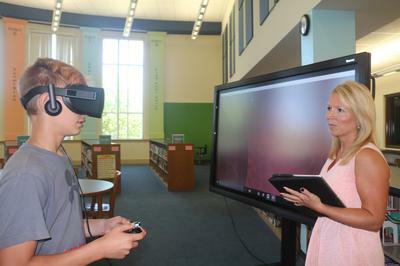 Funding from an innovative state grant will enable Marion City Schools to harness technology to teach students soft skills. The Straight A Fund Governing Board recommended awarding a $623,605 Straight A Innovation Fund Grant to partners Rushmore Academy, Harding High School and the Mahoning County Educational Service Center. The grant will cover costs of working with the Kent State University Research Center for Educational Technology to create an educational simulated workplace model. 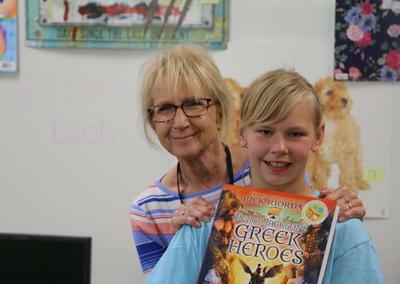 Marion Mentors 21 coordinator John Shank calls it “21st century mentoring.” What he’s after are mentors who will dedicate time to mentoring Marion City Schools students – long-term if possible. 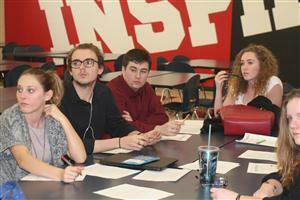 It’s mentoring dedicated to helping the school district help students achieve. When Mount Vernon resident Dave Culbertson’s son Greg died of a heroin overdose in 2009, such deaths weren’t making the headlines. There weren’t words attached like “epidemic.” It did appear in the newspaper that week, however, as Culbertson did what was then unheard of and included the drug overdose as the cause of death in Greg’s obituary. 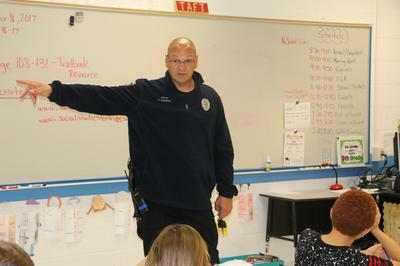 He decided that wasn’t the end of his speaking out about the dangers of heroin abuse. 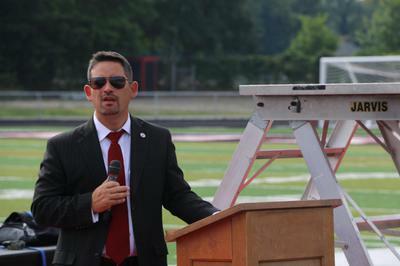 The Marion City Schools District and its partners are preparing to embark on a new program dedicated to helping students succeed after they graduate from high school. 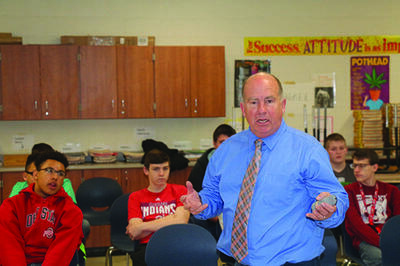 Presidential Pathway, part of the Diploma Plus Acceptance initiative, will offer college and career counseling to Marion Harding High School graduates throughout the year after they graduate. The support will be provided by a team of Harding guidance counselors, GEAR UP advisors and staff from Marion Technical College and The Ohio State University at Marion. Stories written for MCS Community Connections newsletter to promote initiatives and cover district events. 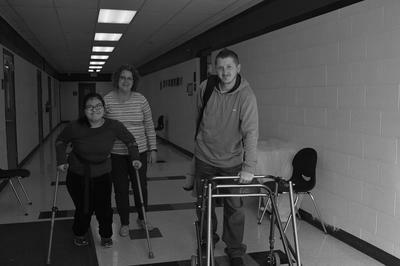 Grant student accomplishes her "wildly important goal"
Grant Middle School eighth-grader Jessica Hamm is putting first things first as she leaves her wheelchair and continues to work on being more mobile. A distrit news update sent to staff. 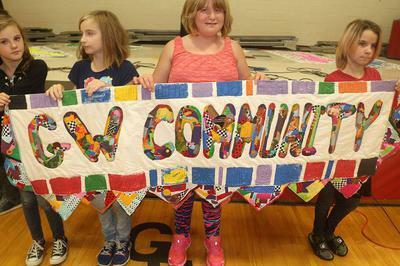 An art project became a lesson about the importance of community at George Washington Elementary School. I turned the newsletter story into a Facebook note to share it on social media. 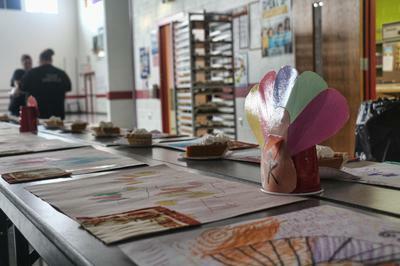 As students and teachers wrapped up the last day of class before Thanksgiving, schools throughout the district paused to give thanks on Tuesday. At Garfield Elementary, it was a day set aside for family and the community. After all, it’s tradition, and Thanksgiving’s meant for tradition and family. 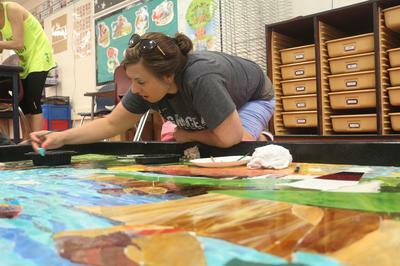 So fourth-grade teacher Tina Barnes and the cafeteria workers and parent helpers got to work. 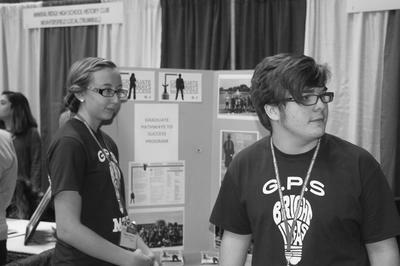 Graduate Pathways to Success is a program that lets high school students experience college for free. They can take college classes starting their ninth grade year. Ohio’s College Credit Plus program lets any college-ready student in middle and high school take college classes. The difference with Graduate Pathways to Success, an early college program, is that students receive extra coaching and support along the way. Website copy created to promote district and utilize website as content hub for the district. 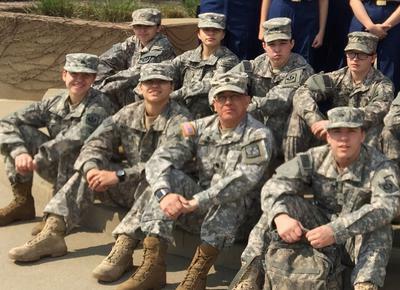 A section of the website that I created to inform students, parents and community members about Harding High School's Army JROTC corps, the only JROTC corps in Marion County. A section of our website created to inform parents/guardians about our safety plan and emergency communications. It includes information about ALICE, the active shooter response protocol that our district adopts as part of our safety plan. I added the Parents Guide to Grant Middle School to the website to assist school administrators in promoting the middle school and improve retention of students coming from elementary schools. Administrators held a meeting for parents of fourth and fifth graders to answer their questions about the middle school. 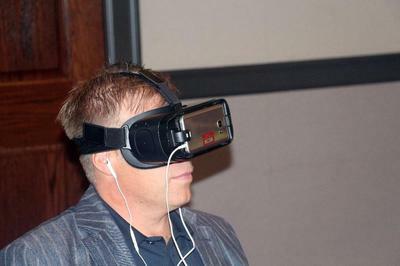 I created and promoted this section to help reach parents who did not attend the meeting. This section of the district's website is dedicated to promoting our school district to potential employees. I created it to address concerns that our employment section was lacking much to entice people to apply to the district. Flyers designed to promote Marion City Schools' initiatives and educate the public about procedures including our safety training. 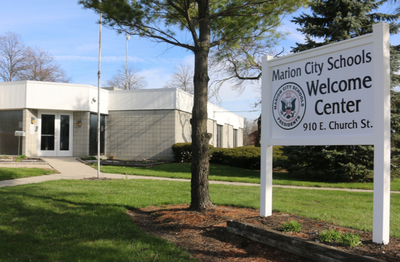 Marion City Schools' Welcome Center is the district's one-stop shop for student enrollment. All enrollment is completed at the 910 E. Church St. location. This makes it easier for families who may have more than one student to enroll into the district. We train both staff and students about what options they have. All training for students is age-appropriate. No single response fits every situation, so it helps them to know their options.